Make a larger swing arc with the driver head: On the backswing, your lead shoulder (left for right-handers) should pass under your chin without touching it. Keep your chin up at address so it doesn't block the shoulder turn. Bulk up swing muscles: Get a weighted club and swing it 25-50 times every other day. This will strengthen your major swing muscles – shoulders, arms, torso -- so when you use your standard-weight driver, it will feel light enough to swing faster while staying in balance. Build torque on the turn: Place your back (right) foot perpendicular to the target line, which will create tension between the upper and lower bodies. This built-up torque is released on the downswing, generating extra driver head speed. There is no feeling in golf quite as satisfying as crushing a long drive right down the middle of the fairway. Sure, making a long putt or hitting a perfect wedge might be more helpful for your score, there is no replacing the feeling of turning the driver loose and watching the ball soar. All golfers would love to get even five or ten more yards out of their driver, if only to be able to hit it past their playing partners on a regular basis. Long drives aren't everything in golf, but they sure are fun. So, if you would like to hit longer drives, where should you start? Do you need to look at your equipment to confirm that you are hitting the right driver for your swing? Should you look at your fitness to ensure that your strength and flexibility will allow you to hit long drives? What about your swing mechanics? In reality, all of those factors and more need to come together if you are going to maximize your power potential. Hitting long drives is about much more than just swinging fast - you have to bring together a number of different elements into one cohesive unit. It will take some time and effort to max out your distance, but the reward will be worth it when you see the ball traveling farther down the fairway on a regular basis. The pursuit of distance can be a good thing for your golf game, but it is important to remember that it should not come at the expense of your basic mechanics. If you have to go outside of the realm of your normal golf swing in order to produce more power, you should avoid making that trade. Accuracy will always be more important than power in golf, even if it is fun to launch your driver as far as possible. Losing track of the mechanics that make your golf swing work is a critical mistake, as that can cause trouble for you not only off the tee, but with the rest of your clubs as well. You should expect any gains in distance that you experience to be gradual rather than instantaneous. It would be great to go out in your very next round and start hitting drives 20 or 30 yards longer than usual, but that outcome simply isn't realistic. Instead, you should look for minor progress, even as little as a yard or two at a time. 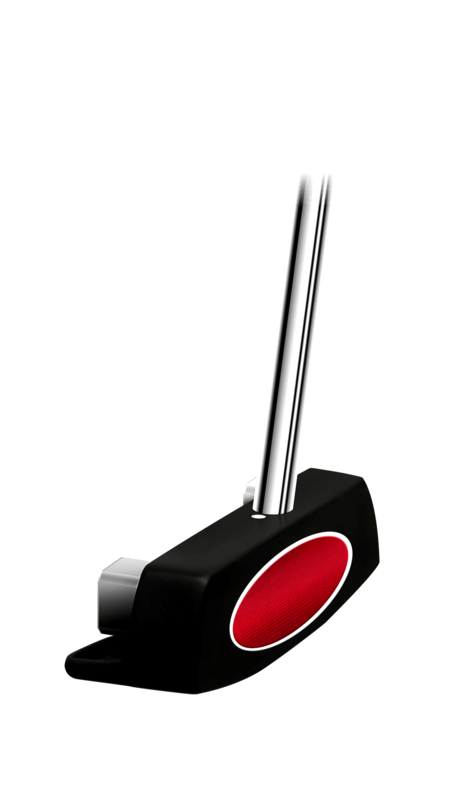 Keep track of your driving distances during each round that you play so you can notice the improvements as they come. As long as you stick with the process of adding distance to your game off the tee, you should find that you are a significantly longer driver of the golf ball after six months or a year has passed. The first step on your journey toward longer drives is making sure that you have the right club in your hands. There are countless driver options on the market today, not to mention all of the shafts that can be put into those driver heads. With so many combinations available, it might seem like an impossible task to find the perfect driver for your swing. However, by investing a little bit of time and effort into your search, you can locate a club that will enable you to hit your longest-ever drives. Right off the top, the first thing you need to do when shopping for a driver is ignore the choice of clubs made by your favorite professional players. No matter which Tour players you happen to root for, you shouldn't make any club selections based on what is in their bag. Most likely, your swing looks and performs nothing like the swing of your favorite player - so why would you choose to use the same clubs? This is good advice for the driver as well as the rest of the clubs in the bag. Leave your personal rooting interests aside and simply search for a driver that will deliver the performance characteristics you require. There are plenty of high-quality brand names in the driver market today, so you shouldn't feel compelled to limit your search to just a couple options. By keeping an open mind going into the process, you will be more likely to come out the other side with the perfect club for you. The best way to end up with the right driver in your bag is to go for a professional club fitting session. Most golf courses that sell clubs offer club fitting sessions with the local pro. That professional will have an extensive knowledge of how to help you find the right driver. 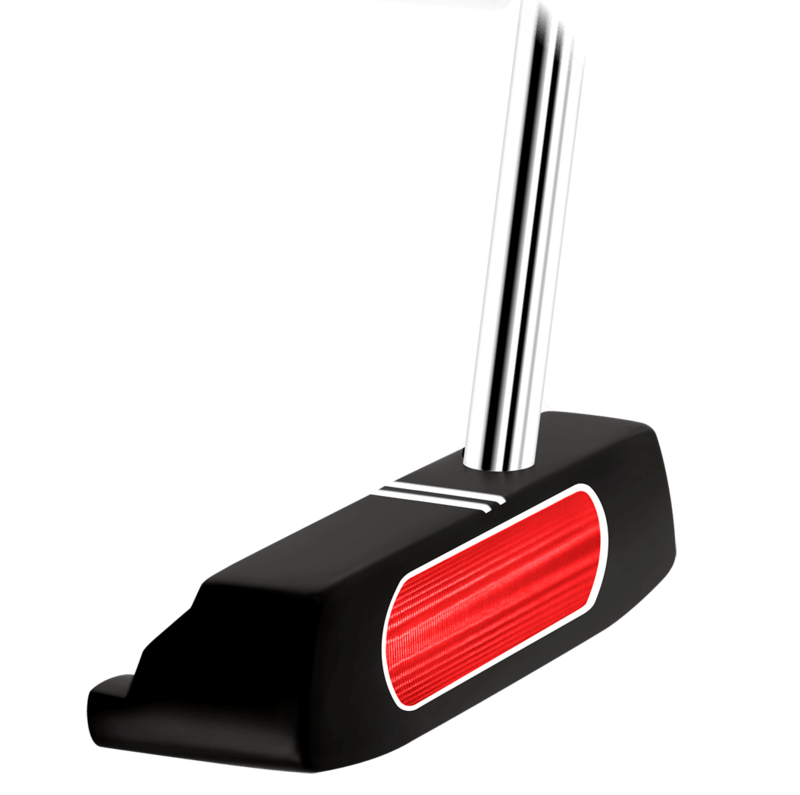 Try to find a local course or golf shop that has launch monitor technology in place. A launch monitor (or similar device) will measure a variety of elements in your swing before making recommendations as to the type of driver you should choose. The recommendations of the computer, along with the observations of the pro, should help you quickly narrow down your potential choices to just a few drivers. With the field narrowed, you can then hit each of the drivers in question for yourself. While the computer and pro will offer valuable insight, it is ultimately up to you to decide which one looks and feels the best in your game. For example, a certain driver might hit the ball a couple yards farther than another, but you may prefer the second driver just because it feels right in your hands. You don't always have to go with the driver that is most-impressive on the launch monitor – your ultimate selection should be a blend of science and feel. It is unlikely that you will perform great with a driver that feels wrong to you, even if it measures out the best during the club fitting. In the end, you have to play with the choice that you make, so only pull out your credit card to make the purchase when you are totally convinced you have the right club in your hands. There is one other important point that needs to be made in reference to picking the right driver, and it has to do with the golf courses that you typically play. Conditions vary from course to course, so you want to pick a driver that is well-suited to the conditions you usually experience. For example, if your home course is often firm and fast in the fairways, a driver that offers a low launch angle and low spin rate would be ideal. However, if your course is usually soft, you will want to maximize your carry yardage – meaning you need a higher launch angle and increased backspin rate. Going into the process, take a moment to think about the courses you usually play and make sure you select a driver that is going to be a nice fit under the conditions you face most often. Anyone who thinks that golf isn't a physically taxing sport probably hasn't hit more than a few balls on the driving range. While golf obviously isn't as difficult from a physical standpoint as a game like football or basketball, it still requires your muscles to perform over and over again throughout the day. You don't have to worry about running long distances on the golf course, but you do have to concern yourself with staying flexible. If you are serious about hitting longer drives, getting your body in 'golf shape' might be something to consider. Of course, before starting any kind of workout regime, you should always check with your doctor. If you do decide to pursue improved fitness to add distance to your drives, there are a couple of areas that are more important than the rest. The first is flexibility. As golf is a rotational game, you will be able to increase your swing speed simply by rotating better back and through the ball. That rotation comes mostly from flexibility. If you have ample flexibility in your lower back, upper legs, and shoulders, you will be able to make a great turn away from the ball. If there is tension in those parts of your body, however, it will be hard to make an aggressive swing. Working on your flexibility is not only a way to add distance, but it can also help you stay healthy on the course. Back problems are common among golfers, but you can reduce the likelihood of damaging your back if you work on improving flexibility throughout your body. It is usually your back that winds up injured when one or more parts of your body are inflexible, so work on a whole-body flexibility program to protect your back muscles in the long run. Also, maintaining a healthy weight is a big part of flexibility, as it is harder to turn back and through when you have extra pounds in the way. By maintaining a healthy body weight over the years, you can reduce the wear and tear that golf will put on your body. The other part of the golf fitness equation is building strength in your hands and forearms. As you come down into the ball in the downswing, your hands and forearms have an important job to do – they have to hold the angle of the swing in place for as long as possible, before finally unleashing that stored up power into the back of the ball. It requires strength in your hands and forearms to hold that angle successfully as the swing continues to speed up. 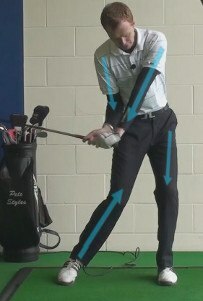 Without the necessary strength in the lower part of your arms, you may be forced to release the angle early, meaning you will waste club head speed prior to impact. Some simple exercises that help build strength in your hands and forearms could go a long way toward adding to your power off the tee. You don't have to be conditioned like an Olympic athlete to hit long drives, but it does help to have a reasonable base level of fitness. Specifically, making yourself more flexible while adding strength in your hands and forearms can quickly help you to increase your club head speed while hopefully keeping you healthy on the course at the same time. If you are not experienced in the world of fitness, consider working with a professional trainer who can help you address these golf-specific needs. Working with a trainer will not only give you a direction for your conditioning, but it will also keep you accountable to the program as time goes on. Having the right equipment and a good level of fitness is a nice start, but those two elements alone aren't going to allow you to hit long drives – you need solid technique to go along with it. 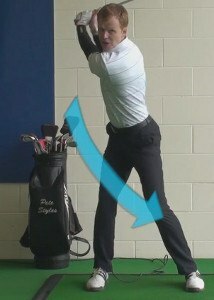 There are certain mechanics in the golf swing which are essential if you wish to hit the ball a long way. It is certainly possible to hit some straight shots while ignoring the points below, but you are unlikely to ever hit the ball with any authority unless you learn how to integrate these tips into your swing. Take a close look at the following three mechanics that can help you to build a powerful and repeatable golf swing. Wide base. Hitting the ball long distances with the driver requires an aggressive downswing, and you can't make an aggressive motion if you are off balance. Therefore, balance should always remain one of your top priorities, and great balance starts with a wide base at address. Keep your feet slightly outside of shoulder width apart and you should be able to go after the ball without any concern for losing your balance to one side or the other. If you watch the longest hitters on Tour make their swings, you will see that the vast majority of them do a great job of staying balanced through the shot. Make it a goal to finish in a balanced position after every driver swing and you will be a big step closer to adding distance off the tee. Back to the target. When you finish your backswing, your back should be facing the target – it's just that simple. If you stop your swing and you haven't made it all the way around to a complete turn, you won't be able to build up the maximum amount of speed possible in your downswing. It takes time to build swing speed, and a longer turn means you will have more space between the top of your swing and impact to generate that speed. Not every golfer is flexible enough to turn their back all the way to the target without making some kind of minor accommodation in other parts of the swing, and that is okay. If you find yourself feeling like your flexibility is limiting your turn, try allowing your left heel to come up off the ground as you swing back. That move will take some of the tension out of your body and it will make it easier for you to finish the swing. Lower body drive. Perhaps the single most important element in building swing speed with your driver is engaging your lower body in the downswing. As the club transitions from backswing to downswing, it is crucial that your legs take over the job of turning your body toward the target. Your hips and knees should be turning hard left, while your upper body basically comes along for the ride. It will be tempting to force your hands down toward the ball quickly while your legs are turning, but resist that temptation. You want to delay the hit as long as possible – again to build up speed. Hold the angle of the shaft as you are coming down and only turn the club loose when the rest of your body has successfully turned through the shot. Those three points aren't particularly complicated, but they can mean a world of difference when it comes to hitting long drives off the tee. In fact, if you have each of those three points present in your swing on a consistent basis, there is a good chance you will be one of the longest hitters in your group. However, like anything else in golf, these fundamentals take practice – even something as simple as a wider stance requires repetition to become comfortable. You will only be rewarded with longer drives after you have put in the work on the practice range. Before you head to the range to work on your driving power, there are a few other tips you should keep in mind. None of these tips are going to dramatically change anything about your game, but they can each play a small role in making you a longer hitter. Tee the ball high. Many amateur golfers tee the ball up much too low when hitting a driver. Assuming you are using a modern, 460cc driver head, you want to tee the ball up plenty high so that the club has room to get under the ball nicely. The ideal place to impact the ball is slightly above the center of the face, so you will need plenty of tee height to make that happen. If you tee the ball too low, you will run the risk of having to hit down on the shot in order to make solid contact – something you don't want to do with a driver. Hitting down can increase the spin rate of your drives, usually leading to shorter overall distances. Tee the ball high and swing on a flat angle of attack through the hitting area to maximize your power. Be 100% committed. You aren't going to hit your longest drives if you are holding anything back, so commit to your driver swing and turn the club loose through the hitting area. If you aren't comfortable hitting driver on a particular hole – such as a hole where water guards the fairway – consider using less club so you can make an aggressive swing. On holes where you do choose your driver, however, give it everything you have and swing confidently knowing that you are going to hit a great shot. Stay relaxed. Tension can rob you of power in your golf swing. If you allow your muscles to tighten up prior to the swing, as can happen when you get nervous, you will have trouble making the kind of free and loose swing that leads to long drives. Before hitting your driver, take a deep breath and picture your ball flying down the middle of the fairway. If necessary, shake out your arms a little bit to relieve some tension. Once your body and mind are both properly relaxed, step up to the ball and make your best swing. Driving distance is a combination of many factors. You can't simply overpower the golf ball by using big muscles to force it down the fairway. Instead, you have to swing the club in a technically correct manner so that the speed can build naturally from the top of the swing down to impact. Golfers who try to overpower the ball in order to hit long drives are going to be frustrated and disappointed with the results. Take the advice provided above and head to your local driving range to work on your technique as well as your mental approach. Remember, the additional yards that you are looking for are unlikely to appear all at once, so be patient and pat yourself on the back each time you notice a couple of extra yards showing up at the end of your drives. Over time, your technique and mental game will consistently improve, and you will eventually be able to hit consistently longer shots with your driver.